According to Breitbart Texas, the federal government of Mexico recently deployed thousands of Mexican soldiers, Marines, and police officers to the Gulf region of the Mexico-United States border, as drug cartel violence spirals out of control. Rival factions of the Gulf Cartel are in an all-out war against each other for the control of drug trafficking and human smuggling routes into Texas. 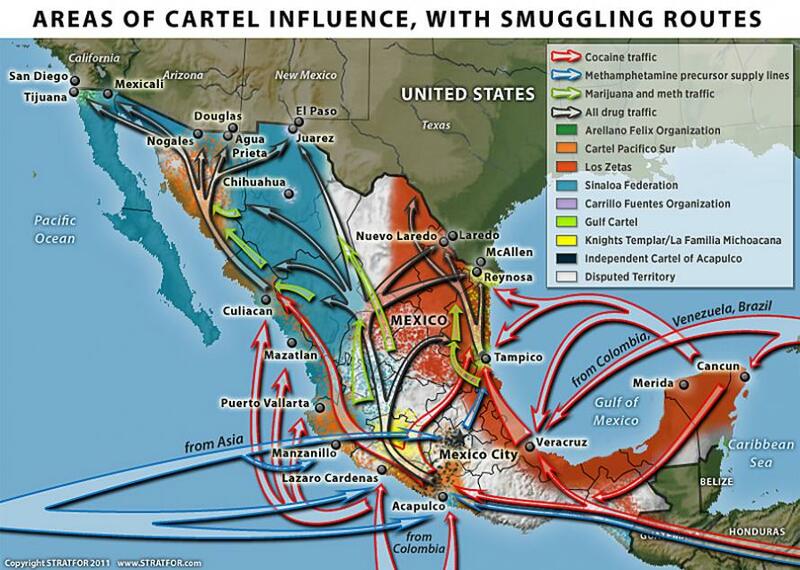 Breitbart Texas describes how drug cartels are using military weapons in daily skirmishes in the border region. During a series of recent military operations by the Mexican Army, soldiers honed in on various rural areas near the Rio Grande. 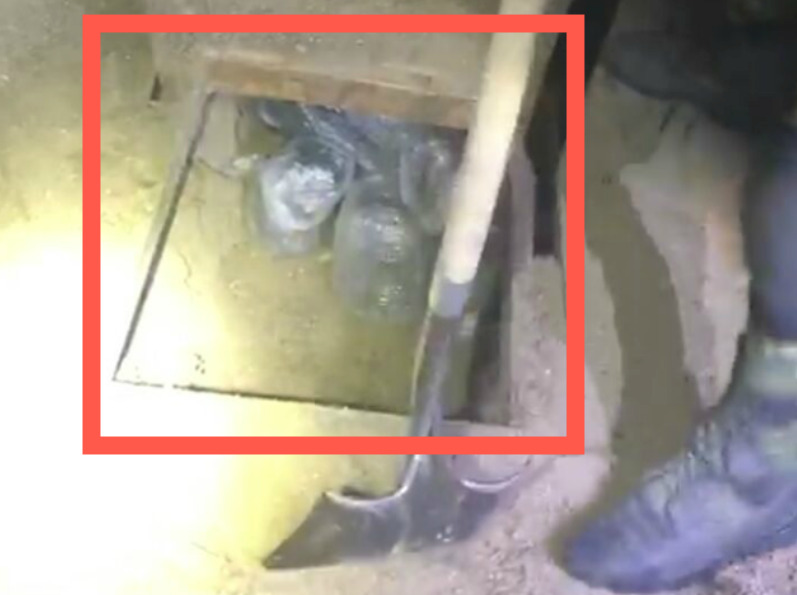 According to exclusive information provided to Breitbart Texas via the Mexican Army, soldiers found a “series of weapons caches that had been buried”– leading to the arrest of three suspects. 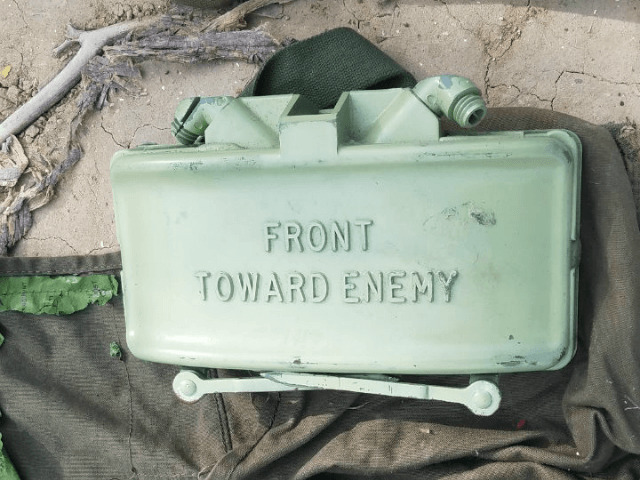 It has been reported that the Gulf Cartel and other Mexican organized crime units have used Russian-made assault rifles and rocket-propelled grenades in past battles, this appears to be the first case of a U.S. military-grade directional anti-personnel mine found near the border. Unlike traditional land mines, which direct their explosive upward, the Claymore is what is called a “directional mine.” This means that the user points the mine by using a crude sight on top, and steadies it with twin scissor-like anchors which can be pressed into the ground, or stand free on their own. A wire is then unfurled a safe distance back to the user’s position were a detonator in the form of a clacker is squeezed to initiate the explosion. 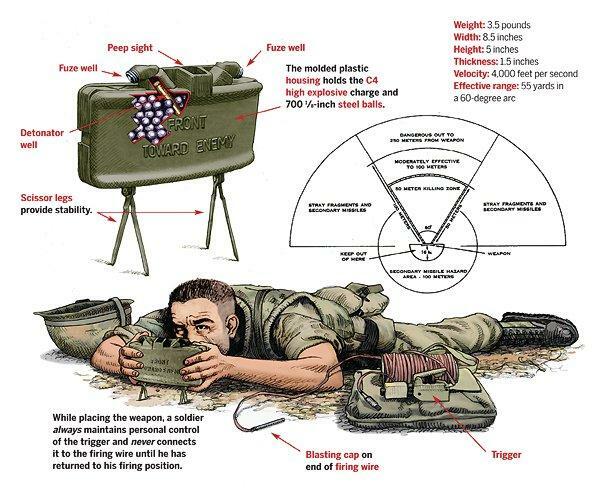 Since the Claymore has a curved rectangular shape, once fired, plastic explosive hurls 700 steel balls out in a 60° radius. Anything exposed within a 50 yard distance is bound to become a casualty. This only increases by magnitude the closer to the detonation. The function is rather like dozens of shotguns going off at once. There is nothing like it on the battlefield. Exercise increased caution in Mexico due to crime. Some areas have increased risk. Read the entire Travel Advisory. Violent crime, such as homicide, kidnapping, carjacking, and robbery, is widespread. The U.S. government has limited ability to provide emergency services to U.S. citizens in many areas of Mexico as U.S. government employees are prohibited from travel to these areas. U.S. government employees are prohibited from intercity travel after dark in many areas of Mexico. U.S. government employees are also not permitted to drive from the U.S.-Mexico border to or from the interior parts of Mexico with the exception of daytime travel on Highway 15 between Nogales and Hermosillo. U.S. State Department discouraged all travel to 31 Mexican states and even issued five states to Level 4, otherwise known as a war-zone like some countries in the Middle East. Do Not Travel: This is the highest advisory level due to greater likelihood of life-threatening risks. During an emergency, the U.S. government may have very limited ability to provide assistance. The Department of State advises that U.S. citizens not travel to the country or leave as soon as it is safe to do so. The Department of State provides additional advice for travelers in these areas in the Travel Advisory. Conditions in any country may change at any time. Perhaps, President Trump’s border wall is a good idea as drug cartels on the Mexico-United States border are stockpiling military grade weapons.